I have seen my sisters cope with cancer. I saw as they lost their hair to chemotherapy. I wish to help others who are going through this by donating my hair. 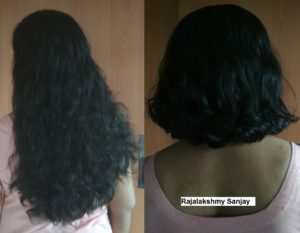 Rajalakshmy Sanjay.